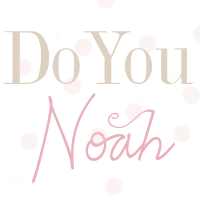 doyounoah: Mo'nique Wins a Golden Globe! It was the 67th Annual Golden Globe Awards last night hosted by Ricky Gervais. The first award handed out was for Best Supported Actress, which deservedly was awarded to Mo'Nique, for her role in the movie Precious. Monique is known to many as a comedian but in the film, "Precious: Based on the Novel Push by Sapphire" you see her talents shine through as a tremedous actress. She has been the solid favourite to win this award for her amazing portrayal of Mary Jones, a monstrous, abusive welfare mother who clashes with her daughter, Precious. During her emotional and heartfelt acceptance speech, Mo'nique said: "I celebrate this award with allt he Preciouses, with all the Marys..I celebrate this award with every person that's ever been touched. It's now time to tell." So could she win an Oscar too? Who knows! Oscar nominations will be announced on 2nd February so watc this space. I certainly feel she deserves an Oscar as her role in the film is spectacular...a must-see for all!